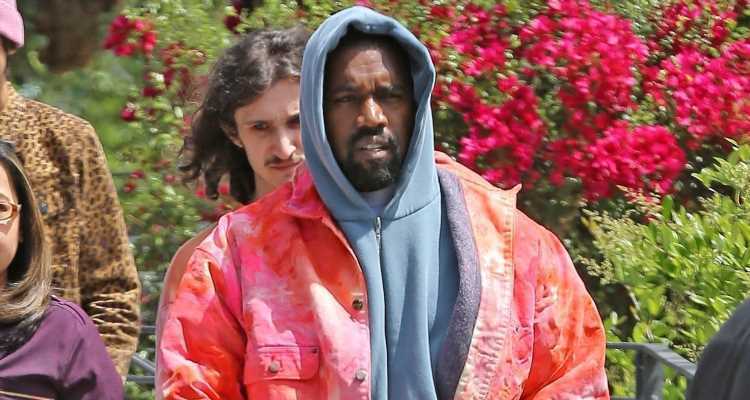 Kanye West rocked a bold look while leaving lunch! The year-old entertainer was spotted leaving Lovi’s Delicatessen on Monday afternoon (April 15) in Calabasas, Calif.
Kanye paired his usual sweatshirt and track pants with a bright red tie dye jacket. Over the weekend, Kanye hosted one of his Sunday services, where he let daughter North and his niece Penelope take the mic with some of their friends.